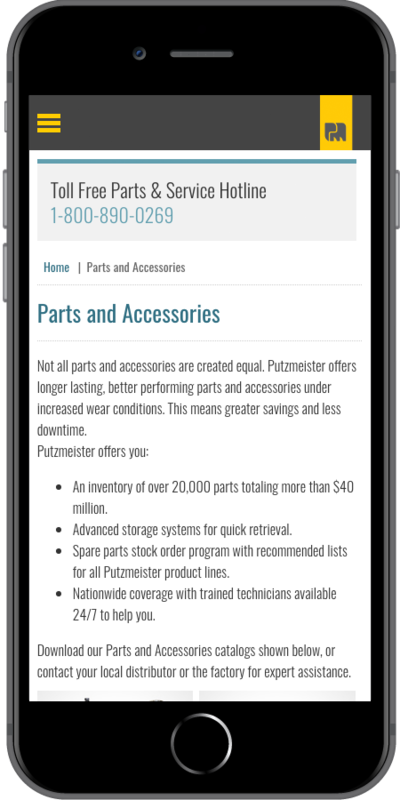 Putzmeister America was in need of a significant redesign that would unify their many brands under one, consolidated digital property. Allentown Shotcrete, PMA Water-Tech, Esser Pipe Tech, and PMA Pro-Tech were all operating unique sites at disconnected domains. 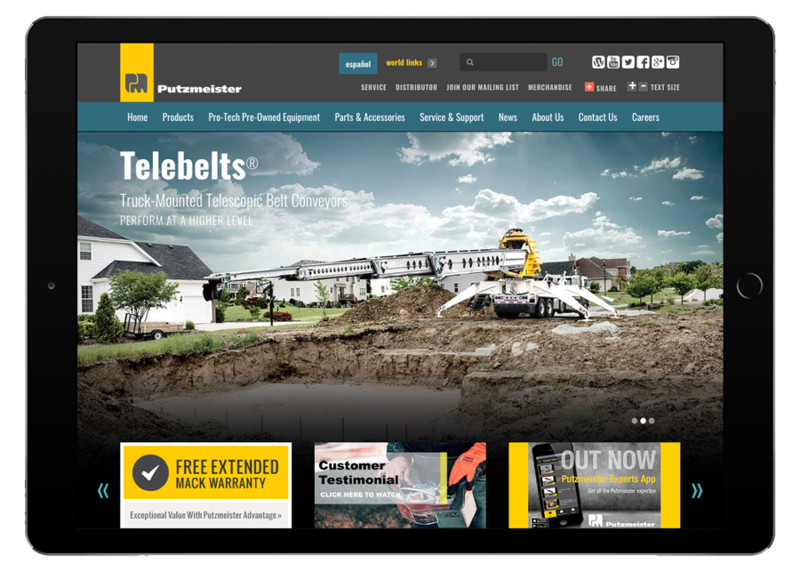 Putzmeister required a solution that would not only unite the brands on a consumer-facing site, but also provide a rich content management platform that would allow them to manage a sizeable product catalog from one, intuitive dashboard. 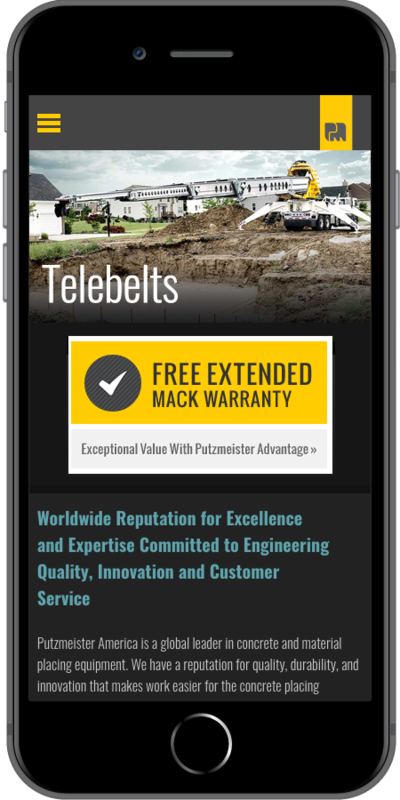 Starkmedia’s team of designers incorporated vibrant imagery from real-world projects utilizing Putzmeister products to drive the site design. 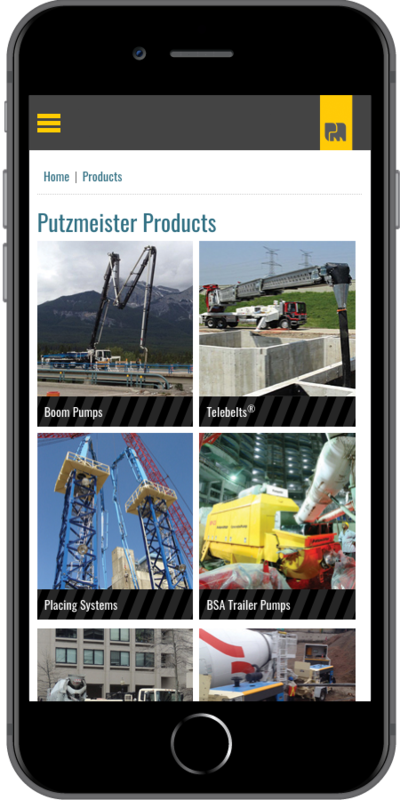 Putzmeister was provided with a robust Content and Product Management System that allowed them to centralize their online marketing efforts and streamline product updates for all of their brands from a single dashboard. 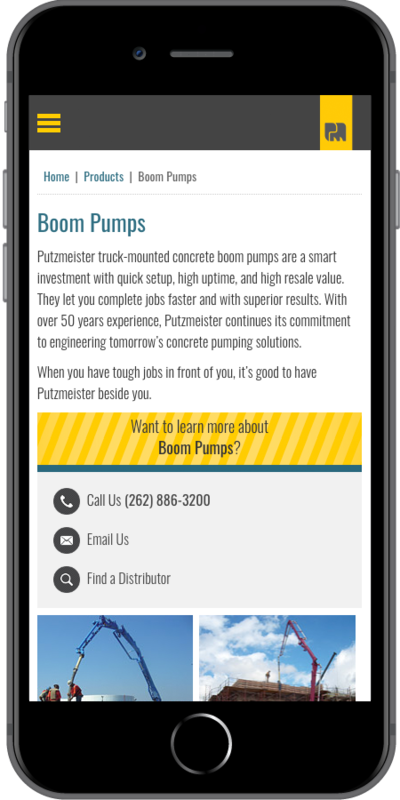 The CMS has built-in associations that allow it to tag job stories, press releases, and high-profile projects to specific Putzmeister products to increase awareness and call attention to real-world success stories related to their trucks, pumps, and other products.